Take-up in Marne-la-Vallée amounted to 57,000 sq.m in 2017, above the annual average of the last 5 years (~53,000 sq.m) and illustrating the area’s appeal to companies. 2017 was particularly marked by the signing of several leases and acquisitions for areas comprised between 1,000 and 3,000 sq.m. Good access and the quality of offers in this category helped to animate the market in the context of improved private and public-sector company confidence: CAF; Grand Paris Grand Est; Inéo Tertiaire; Axone Promotion; Bank of Ireland and Findus. Large transactions were not to be outdone either. The availability of appropriate land and opportunities to buy assets attracted and reassured several companies such as Crédit Agricole Brie Picardie who is building a 9,100 sq.m headquarters in Chessy, and Groupe Hoche who bought 3,300 sq.m in Lognes. Plans for new metros and station neighbourhoods that are part of the Grand Paris project in Marne-la-Vallée will also open up numerous possibilities in the area. 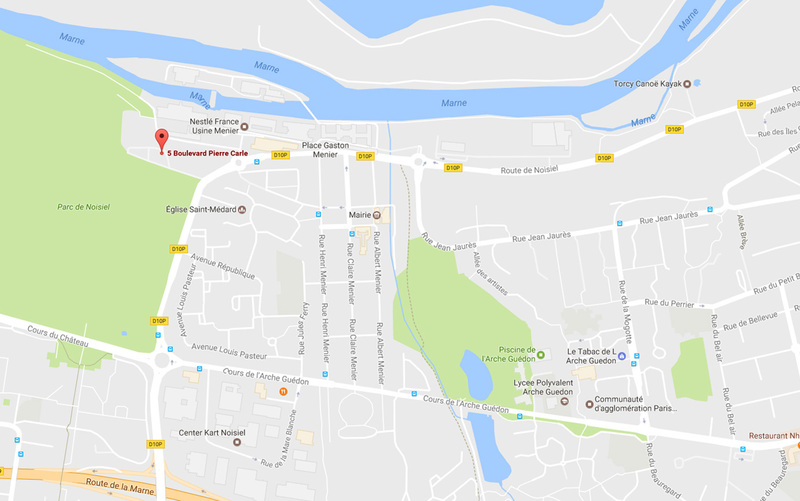 The prime rent in Marne-la-Vallée increased in 2017 and stands at €220 excl. taxes and charges/sq.m/year, driven by transactions undertaken in the two main hubs which are as follows: to the West, the urban hub formed by Noisy-Champs (future Grand Paris Est station) and Noisy-le-Grand and, to the East, the Montévrain-Val d’Europe hub, strengthened notably by the towns of Montévrain, Serris and Chessy. As such, compared to prime rents of €775 in the Central Business District and €510 in La Défense, as well of those of the Inner Suburbs which are comprised between €310 and €385, Marne-la-Vallée is a good alternative for companies looking to save on their real estate costs, whilst still being able to offer comfort and well-being to their colleagues. Whole office buildings that were vacated and brought to the market in Noisy-le-Grand impacted immediate supply in Marne-la-Vallée in 2017, which increased to 155,000 sq.m. However, once they have been renovated or refurbished, the buildings should quickly find occupiers given their location and ease of access. The vacancy rate stands at 8.2 %, illustrating the dynamism of the market which has enough supply to enable companies of any size to locate here. The share of new offices in immediate supply decreased significantly in 2017 (~3.5 %), with confident companies looking for quality space in line with international standards. New floorplates are still available in Neos (~1,400 sq.m), Vega (~1,600 sq.m) and Greenwich (1,400 sq.m), while several developments should add to new supply in the near future. Companies’ appetite for new space was confirmed in 2017, in keeping with CASDEN and l’URSSAF, with Crédit Agricole Brie Picardie and Axone who are developing their respective headquarters in Chessy. The Bellini building is also under option for all of the space (7,900 sq.m). These deals should favour the launch of pending developments. Marne-la-Vallée thus offers many opportunities for companies to locate to new and accessible premises which can be customised. While Val d’Europe is the sector with the most supply (Bellini – phase 2, Jazz, project Foxtrot, etc. ), the Noisy-Champs hub refuses to be outdone (Concert Horizon, Treed It, Fifteen, etc.). With the arrival of the future Grand Paris train station in Villiers-sur-Marne, other developments are emerging a stone’s throw away from Paris such as “Balcon sur Paris”, the winning development in the “Inventons la Métropole” call for proposals (34,000 sq.m of offices due for completion from 2024), financed by Compagnie de Phalsbourg, and the 10,000 sq.m office development in the ZAC des Simonettes Nord in Champigny-sur-Marne. In the short term, Carré Haussmann, Jazz and the remaining areas in Foxtrot are still available. Opportunities are also available today for completion in 2020 such as, notably, the second phase of Bellini in Chessy, Concert Horizon in Noisy-le-Grand and Treed It in Noisy-Champs. 2017 was characterised by a majority of deals between investors, mainly French, for all asset types. The retail sector particularly stood out with the sale of the Ikea retail park, the Armoiries Shopping Centre, in Bry-sur- Marne, to Pradera in the middle of the year for €30.8 M.
Following the wave of yield compressions over the last few years, the prime yield in Marne-la-Vallée stabilised in 2017 at 5.25 %. This reflects a difference of 250 bps with the CBD (compared to 300 bps 5 years ago) and approximately 100 bps with the Inner North-Eastern Suburbs. The lack of Core products in central areas, the influx of capital and the search for returns could benefit surrounding hubs such as Marne-la-Vallée, with investment opportunities for quality, new developments. The European Central Bank have announced that they do not foresee tighter monetary conditions before 2019 and, as such, yields should not increase in the near future. Map : Market focus by sector.